"If I were to design a product which would have the most electrostatic problems, I would design today's RFID labels. " 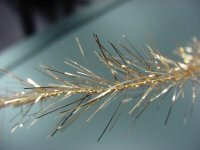 Think of it: A high speed insulative web with isolated conductive antennae onto which, in line, a sensitive integrated circuit will be placed. That spells trouble. Industries such as textiles, plastics and labels now have to become electronic manufacturing companies. Not only do they have to be as ESD safe as the major IC and circuit manufacturers, their product disallows most ESD safe practices such as removal of all static chargers in the process. Their product is a static charger by the process. Steve Fowler has worked successfully with industries to solve their problems as they begin and expand their RFID manufacturing. The first RFID tags were much less sensitive than today and certainly than tomorrow. 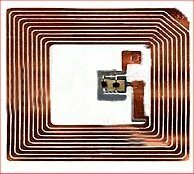 As the sensitivities increase and as the yields of companies fall, the more the need for solutions to the static problems with RFID manufacturing. 5. Follow-up reviews as the process changes and speeds up. With the prudent application of good electrostatic design principles as well as the appropriate use of both passive and active ionization techniques, the RFID label process can be profitable. We guide the manufacturer through the muddy waters of electrostatic problems. 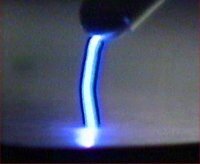 Electrostatics may be the oldest electrical science. However, it is still one of the least understood. Let Fowler Associates assist you in your understanding.